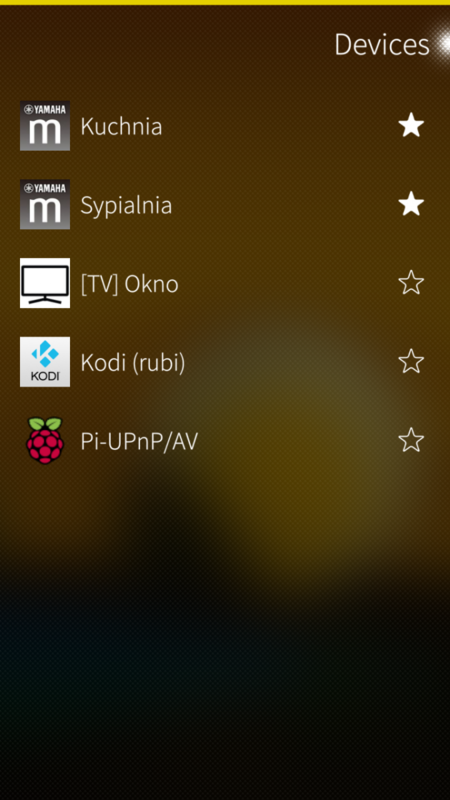 UPnP/DLNA client for Sailfish OS. It allows to stream content files (Music, Video, Images) to UPnP/DLNA devices. This is "work in progress" project in beta stage, so likely contains a number of bugs. Any comments, issue reports are highly appreciated. - Audio capture improvements. Audio capture feature is now stable enough to be enabled by default. Some tweaks were made to improve stream quality e.g. volume level is adjusted to be more loud. - Option to update SomaFM channel list. To download the latest list of SomaFM channels choose "Refresh channel list" from pull-down menu. - Better support for playlist formats. Playlists with relative URLs are now accepted, also initial support for HLS format was implemented. - Audio output stream encoded to MP3 format: By default captured audio output stream will be encoded to MP3 format. Encoding adds extra delay comparing to uncompressed stream but it is much more efficient for overall performance. A stream format/quality can be changed in the settings (Experiments section). - Capture audio output of any application (similar functionality to pulseaudio-dlna server). For instance, you can capture web browser audio playback and listen YouTube on a remote UPnP/DLNA speaker. This feature is not enabled by default, it must be activated in the settings (Experiments section). Be aware that currently audio stream is sent uncompressed, so significant network bandwidth will be consumed and likely your battery drain will increase. - Support for URL content. In addition to local files, URL content (e.g. internet radio streams, remote media files) can be added to a playlist. - SomaFM channels. As a playlist item, you can add SomaFM radio channel. SomaFM is an independent Internet-only streaming service. - Playlist UI polish. When track provides meta data, playlist item contains title, author and album art image. - Play audio stream extracted from video files. - Music artist picker. The music tracks can be browsed by artist name. 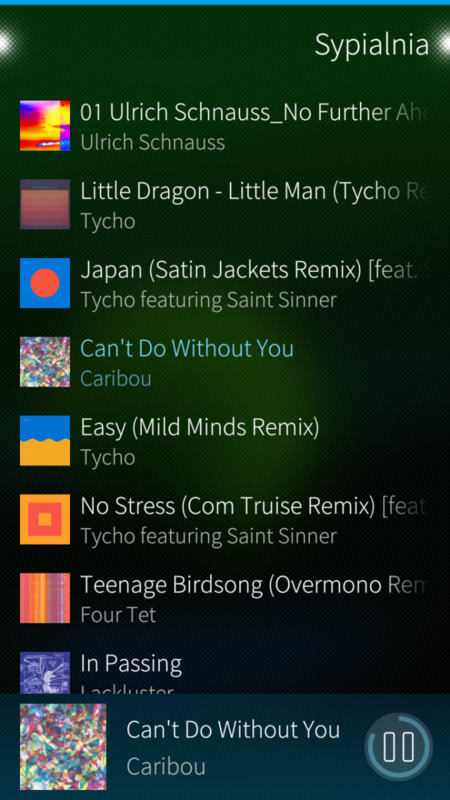 - Playlist file picker. The music tracks from a playlist file can be added to the current playlist. - Music album picker. The whole album or individual tracks from the album can be added to the playlist. - Repeat play mode. Items on the playlist can be playbacked in Normal, Repeat-All or Repeat-One mode. - Multi-item pickers. Music, Video, Image or File pickers support selection of multiple items. - Start with last playlist. When Jupii connects to a device, the last saved playlist will be automatically loaded. If you don't like this feature it can be disabled in the settings. - Volume control with hardware keys. Change volume level using phone hardware volume keys. The volume level of the media device will be set to be the same as the volume level of the ringing alert on the phone. Option can be disabled in the settings. - Improvements of the player UI. Player bottom panel has more compact look. If needed, it can be also expanded to the full size. - D-Bus API. Jupii exposes simple D-Bus service. It can be used to make integration with other Sailfish OS applications. The example 'proof of concept' intergation with gPodder is available to download from Jupii GitHub page. Can you gather the log and send me (jupii[at]mkiol.net)? It would definitely help me in the troubleshooting. No yet. I have at least two additional features to implement and then I'm ready to enable translations. Thank you for being patient! Hello Matteo. Unfortunately, I have no experience with HDMI dongles, so I can't recommend anything - sorry. In general, Jupii uses DLNA, so everything that supports DLNA should be ok in the most cases. NIce, but the app does not parse SD-card where all my music is stored. "Music" section dislpays only tracks that are stored in phone memory. Actually you should be able to select files from SD-card as well. Juppi uses standard SFOS components to select Music. This component displays every music track that was indexed including files on SD-card. If you don't see those files, probably there is a problem with Tracker database. Maybe "SFOS Settings->Utilities->Tracker database->Clear" could fix it? Oh, yeah, I see now. I have a plugin that exlude SD-card from the tracker (cause otherwise all album arts are included in the gallery). Then it would br nice to add options to add folder/multiple files via File section of your app. Works great! 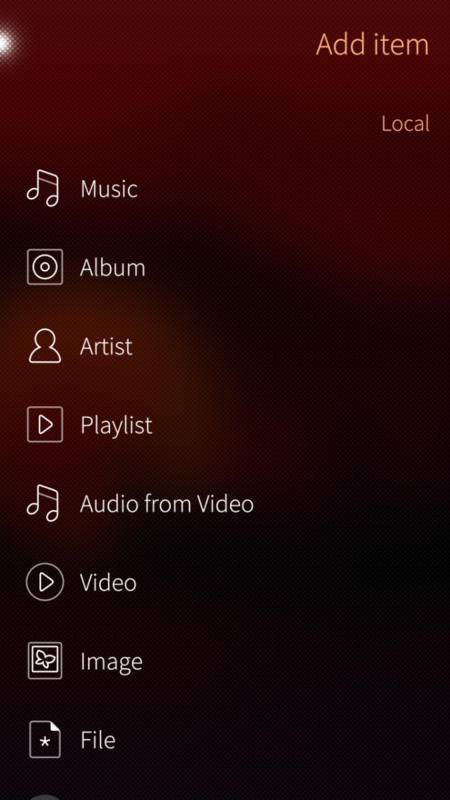 The ability to add albums to the playlist would be nice. Great! This was a missing SFOS app! Do you have any plans to support MythTV as a UPnP device in the future? I think you should try Donnie app (https://openrepos.net/content/wdehoog/donnie). It better suits your use case, because it allows you to play files from MediaServer to MediaRenderer devices.